It takes a dedicated and skilled team to design and build our iconic helicopters! 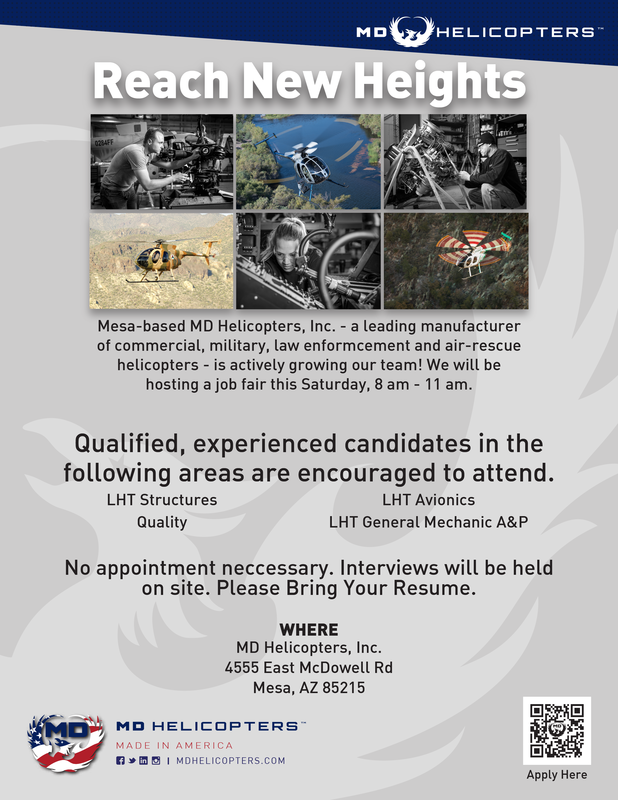 If you have experience as a light helicopter technician, A&P mechanic or Quality Inspector and are looking to be a part of the MD Helicopters team, check out our job openings and plan to visit our FREE job fair this Saturday, from 8 am -11 am at our Mesa Headquarters. Interviews will be held on site!